We started with the IPA. 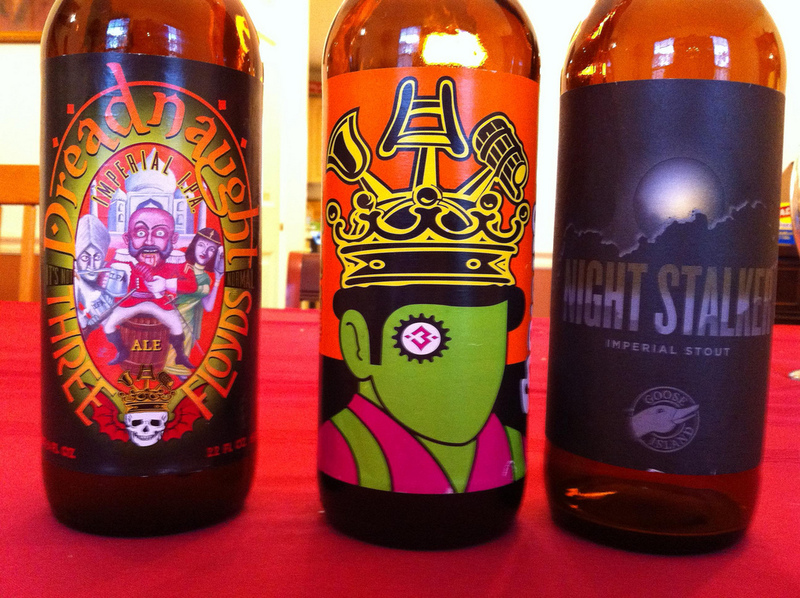 Three Floyds makes many great beers. This IPA has lots of fruit aromas that were very good with a dinner. When we moved onto desserts, we moved into the stouts. The Night Stalker by Goose Island was great with an apple crisp as the main dessert. It was nice to transition to Three Floyds’ Moloko Milk Stout. The milk stout was nice and smooth, which was also very good with dessert. This entry was posted in Brews, Pairings by Brian Allen. Bookmark the permalink.